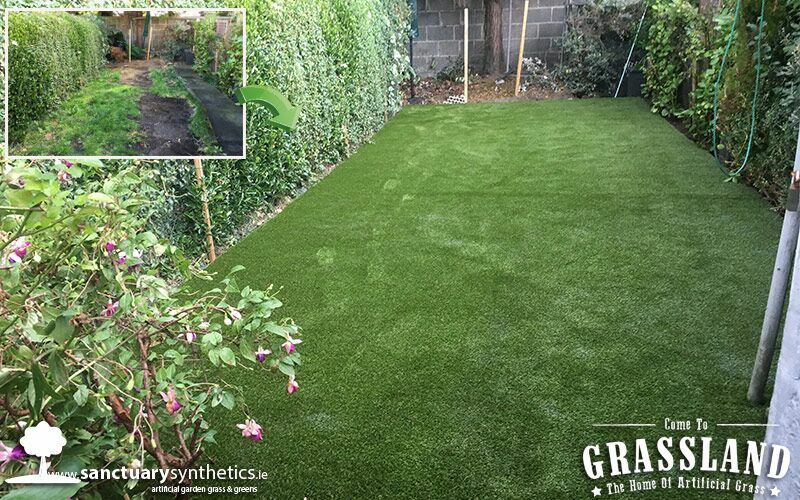 As the winter months are fast approaching, now more than ever it is time to transform your garden with our artificial grass. Decks will become treacherous in these frosty winter months, decking becomes too dangerous to walk on in the winter months. 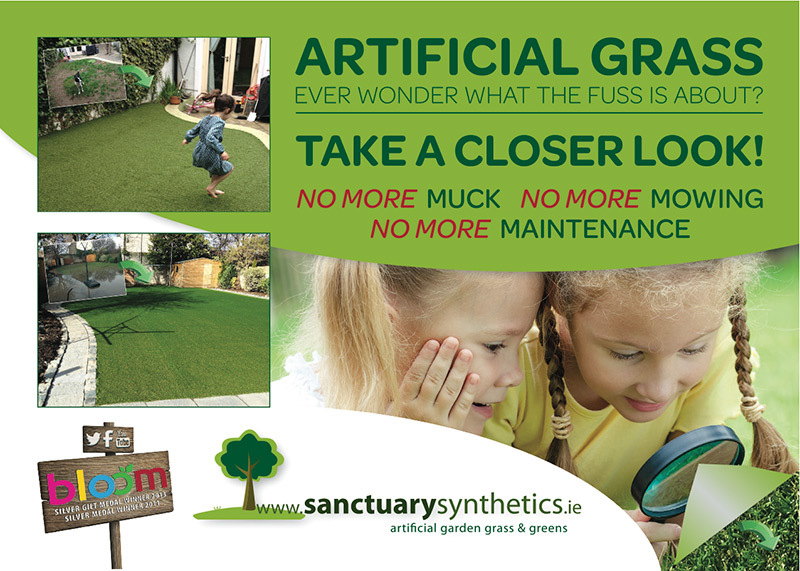 Lawns become swamps of muck, moss begins to grow on paving……sooooo the obvious choice is artificial grass am I right??? Artificial grass will not become slippy like a decking, it will not become a swamp and it will not grow moss! This garden in Dublin really needed our help. It was a narrow garden with an existing lawn and a pathway leading down towards the back of the garden. Ourselves and the customer decided to maximise the space in this garden we would take out the existing path and place artificial grass from corner to corner in this garden. Another key reason why we decided to take out the existing path was with artificial grass it does not get mucky like traditional Irish grass. There will be no mucky shoes coming in to the hose after walking on our artificial grass, this is one of main reason people decide to put a path way in their garden so that they have a clean way of getting to the garden shed. 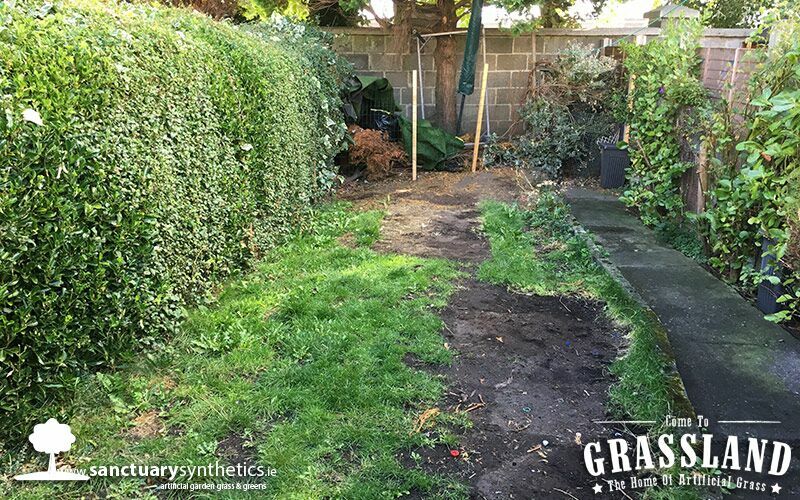 We gave the garden a clean-up and our amazing Sanctuary Synthetic installers began to work on this garden, this garden had a lot of potential, the customers wanted to maximise this space and enjoy their garden and have little to no maintenance. The customer wanted to keep existing shrubs and bushes, so we gave them a tidy up and would ya look…. Good as new!! Supplying and installing artificial grass in to this narrow back garden gave the illusion of the garden now looking and feeling much bigger. 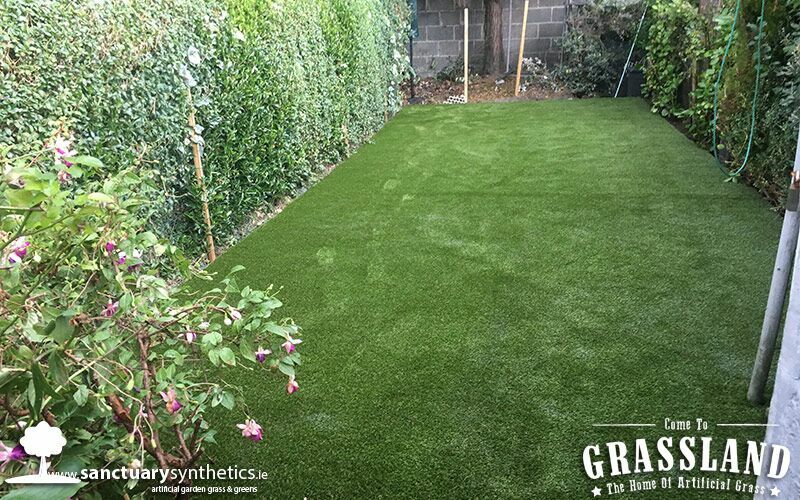 It is now a very practical and functional garden with plenty of space to enjoy.We are proud to say we are Ireland’s longest established and pioneering specialists in artificial garden grass. We offer a full installation service. Our grass is 100% pet friendly – it is immune to claws. Even the unruliest of dogs cannot break through it. Our premium grade grasses are ideal for realistic domestic lawns, and can be laid over any surface – concrete, tarmac, existing grass lawns, etc Get the lush, green look of grass … without the mess or the work! Imagine beautiful lawns all year round. No maintenance, highly durable and weather proof [even Irish weather! 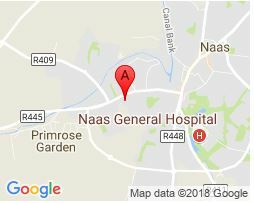 ].Rest assured folks – our grasses do not contain any harmful rubber infill – in fact one of our main advantages in that we install NON-INFILL grasses which are specifically designed for the domestic and childcare market and DO NOT require harmful rubber infill.We are confident we have the right grass and solution for you.